This past weekend, the South Carolina Gamecocks held their annual spring game. Very much needed for a team that has gone 12-12 in Southeastern Conference games and have yet to finish a year ranked in the AP Top 25 in the last three years. Following the annual Black and Red Spring Game, it was time to reward the student/athletes by ordering a bunch of Papa John’s pizza, where it would take two pizza delivery drivers to drop it all off. 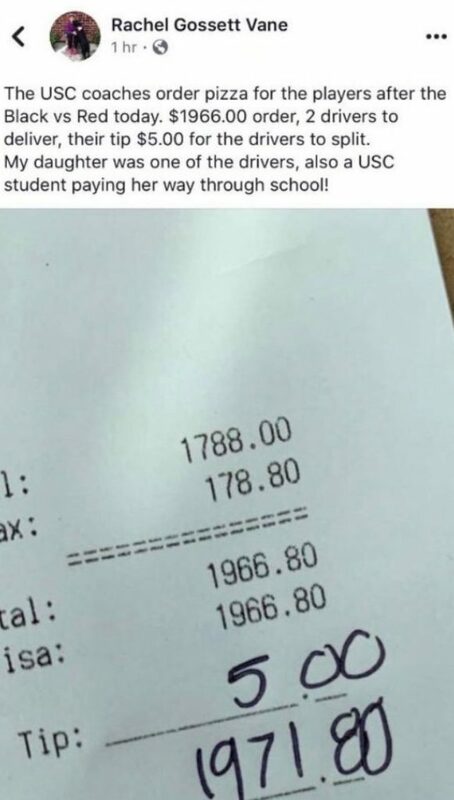 The football team placed a pizza order worth $1,788, plus $178.80 in taxes, to end up with a mind-bending total of $1,966.80. Of course, you gotta drop a nice tip, right? NOPE! The team dropped a measly $5.00. PJ Cola— Thank you for working with us through this misunderstanding. 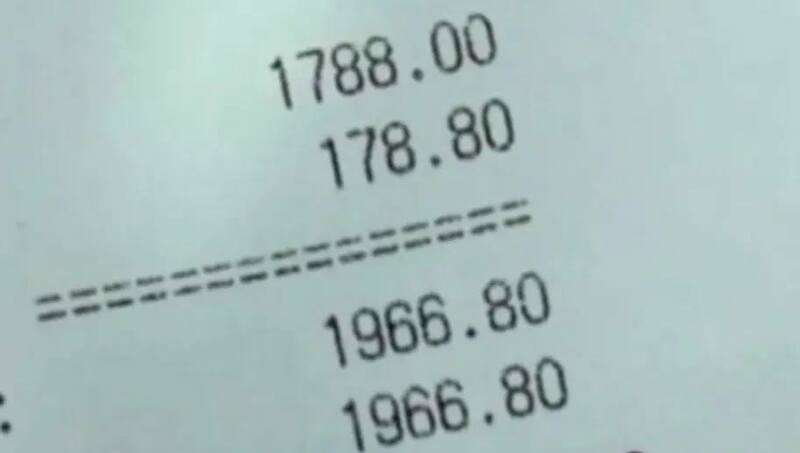 It turns out a member of the team signed for the food and had no clue what to tip, so they just threw $5.00 on it and called it a day.